There are a number of benefits that come from using Sermorelin injections as an alternative to testosterone boosters in Chula Vista. If you are worried about lowered levels of testosterone as you age and you want to get your health back on track, there are options available to you instead of testosterone boosters. You can get started by setting up an appointment for an initial consultation with Dr. Joseph Dubroff at Holistic Solutions. 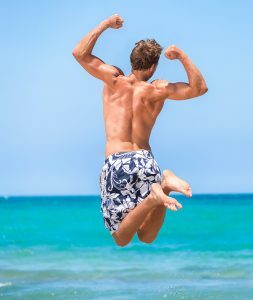 While testosterone boosters for males may seem like the best option, Sermorelin can give you the natural boost that your body needs to kick HGH production into high gear. This natural stimulation will work on getting you more energy for your daily activities and your workouts. Additionally, you will have the speedy recovery time that you need to get back on track instead of feeling sore for a long period of time. Dr. Dubroff at Holistic Solutions sees many patients just like you who are looking for a way to get their energy back so that they feel more like themselves. If you are interested in Sermorelin injection therapy as a way to improve HGH production in your body, you have a world of possibilities in front of you. If you are looking to learn more about Sermorelin injections as an alternative to testosterone boosters in Chula Vista, call Holistic Solutions today at (619)272-2133 for a time to come in for an initial consultation.